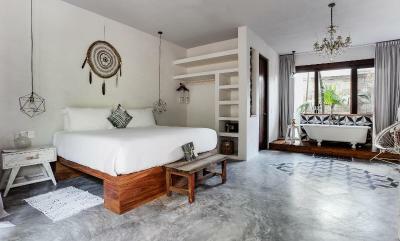 Lock in a great price for Sanara Tulum – rated 9.1 by recent guests! Love that the restaurant was superbly delicious and healthy.. Yoga was phenomenal with ocean views and sound healing meditation was amazing. The staff was top notched and very welcoming.. The Jungle room was spectacular! 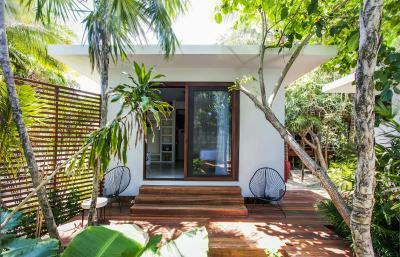 Your own private jungle bungalow is my home away from home. Beds are extremely comfortable.. Cold air conditioning in the room! Beautiful relaxing environment. The facility took extra care in cleaning the beach. Love this place! The staff at Sanara are great. 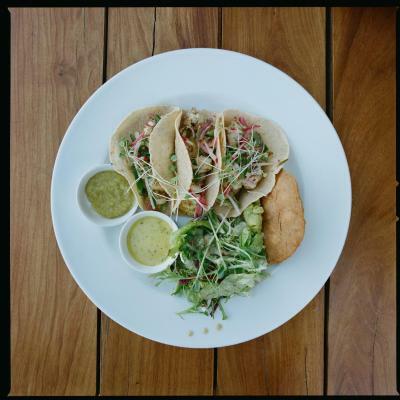 The restaurant, The Real Coconut is delicious and has lots of healthy options. The beach beds are super comfy and the location is great. The property was gorgeous. The pictures are 100% accurate. Beautiful hotel, amazing staff. So friendly, courteous, attentive and eager to make your stay perfect. For example, when we rolled into town we had purchased a case of corona for the shuttle ride in from Cancun. After we got back to our room from a walk on the beach, a member of the staff very excitedly showed us that they had brought a mini fridge (brand new) and put it in our suite to keep our drinks cold!! Our trip was amazing, but we cannot emphasize enough just how much we loved this hotel. Will always be a very special place to us. Beautifully clean and stylish hotel. It’s a stones throw from the main strip of restaurants etc. The rooms are immaculate and staff are super helpful. Everyday the staff reserve you a bed on the beach which is a nice touch. The also give you a beach bag and yoga mats to borrow throughout your stay. The Real Coconut was fantastic for both lunch and breakfast. Service was second to none. 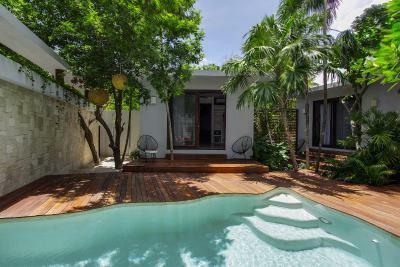 Sanara Tulum This rating is a reflection of how the property compares to the industry standard when it comes to price, facilities and services available. It's based on a self-evaluation by the property. Use this rating to help choose your stay! 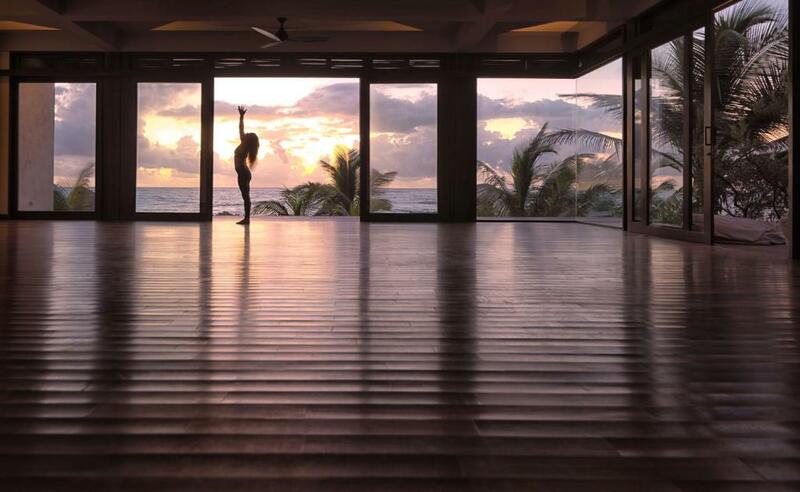 One of our top picks in Tulum.Offering a spa and wellness center, a beach-side yoga studio and a restaurant, Sanara Tulum is located in Tulum. Free WiFi access is available in each room. 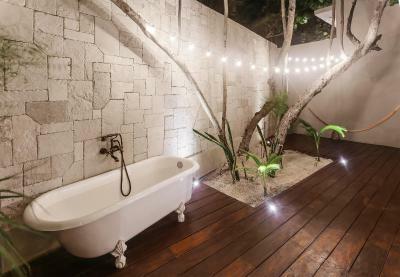 Sanara Tulum Hotel features a garden and a bar. An array of activities can be enjoyed on site or in the surroundings, including diving, windsurfing and snorkeling. The property offers free parking. 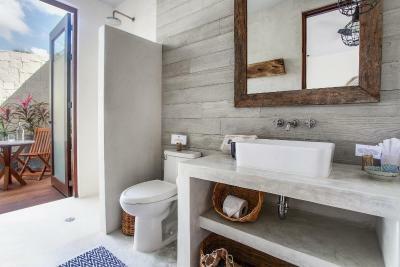 The hotel is 5.9 mi from Tulum Archaeological Site and 2.5 mi from Tulum National Park. Cozumel International Airport is 75 mi away from Sanara Tulum. 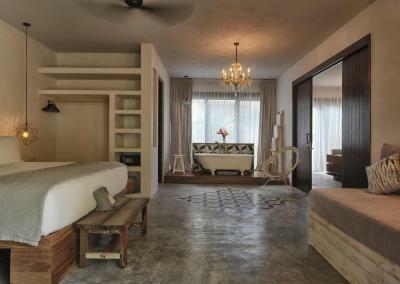 When would you like to stay at Sanara Tulum? This double room has a sea view, air conditioning and a private bathroom. 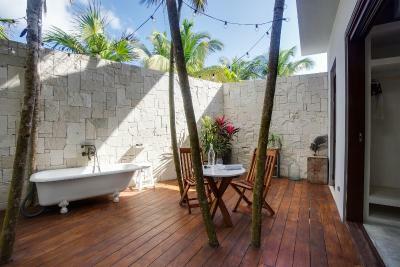 This double room features air conditioning, a balcony and a private garden with a hot tub. Featuring pool views, this room has air conditioning and a semi-open bathroom. This suite features a mini-bar, electric kettle and sofa. Designed to accommodate, Sanará was created with options for intimate relaxation or social interactions with like minded individuals. The hotel has won the 2015 National Competition in the category of Architecture and Interiors for Hotels from the Asociacion de Arquitectos e Interioristas, Mexico. 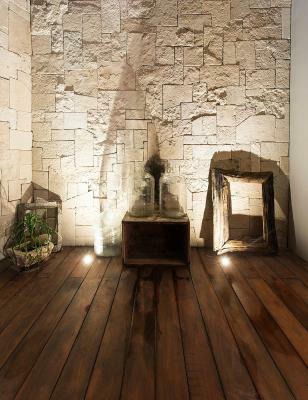 A space that harmonizes with the beauty of it’s surroundings. 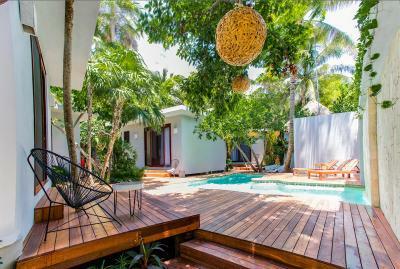 The sleek and simple architecture is nestled in-between wildly sprouting Coconut Palms and Mayan Cheet trees while the ocean provides ample breeze and the serenading sounds of crashing waves. 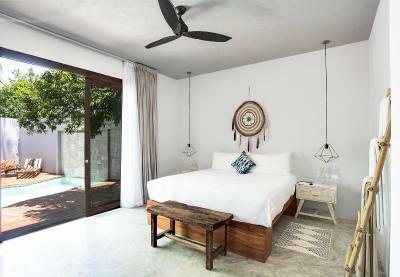 Sanará's 17 rooms, suites and villa, Wellness Center, and Studio are built on the coveted white sand beaches of Tulum, Mexicó. Overlooking the crystal clear turquoise sea, the curative boutique hotel offers both Beachside & Sanara Jungle Poolside rooms. 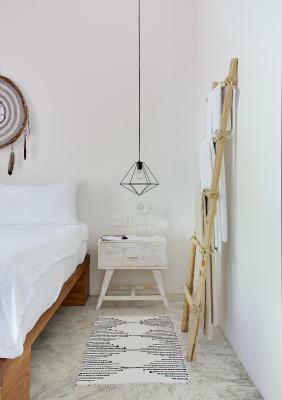 Each Sanara beach room offers a private balcony, luxurious bathroom, and wardrobe. Dressed with imported bamboo cotton from Italy, both the super king size and additional day bed make for the ultimate luxury in sleeping, and accommodate up to two or three people. 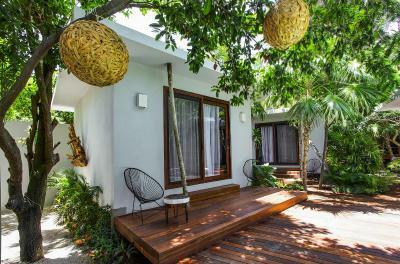 We also offer "Sanara Jungle" comprising of 4 jungle rooms all with King beds, air conditioning and their own pool. 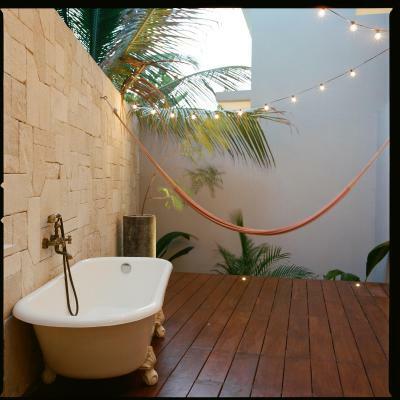 House Rules Sanara Tulum takes special requests – add in the next step! Up to two children under 16 years are charged USD 50 per night when using existing beds. 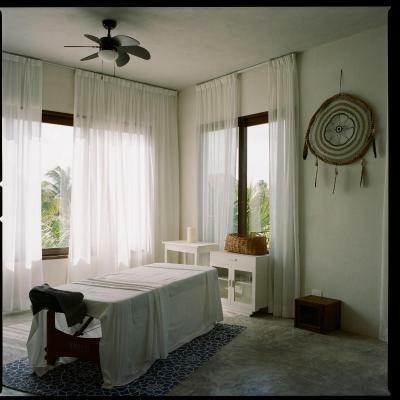 Sanara Tulum accepts these cards and reserves the right to temporarily hold an amount prior to arrival. Service staff at the beach were amazing! 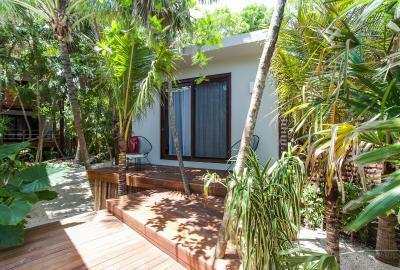 We had an ocean facing room, it was lovely but the most expensive room we stayed in during our time in Tulum. For the cost I would have expected things like breakfast to be included. They also charge you for bike rental and yoga classes which a lot of other hotels offer free to their guests. I had to got home after four days.. I needed a week!!! Price is a bit high, and room is much bigger than it needs to be. Great property right in the sand on the beach. 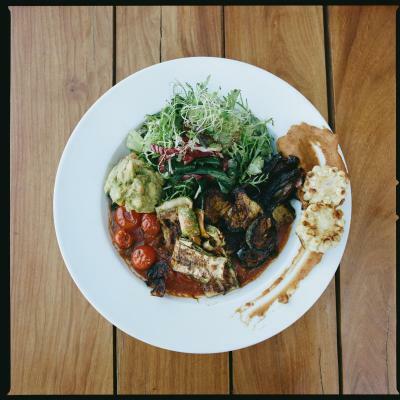 The Real coconut is an incredible restaurant. Highly recommended for healthy individuals who are looking to take a trip to relax, and stay healthy and active during the trip. A lot of noise from the building site next door and restaurant only served food at the beach for few days whilst we where there. Not really what you expect for the money. Didn't realise our place would be on the other side of the road from where the beach is and the main hotel. Massage was great, good location with a lot of nice restaurants and bars nearby. Staff treated us with a bottle of fizz on arrival which was a nice touch as we were on our honeymoon. Not able to flush toilet paper, no TV, poor wife connection. Bar/restaurant closed too early in the evening so had to leave the property. Location to the beach, staff and cleanliness as well as Yoga focus on wellness. Security was very good too.